Initial jobless claims are up almost 10% in the last three months, spiking to 234k last week - the highest since March 2018. While the levels are still extremely low (and well below the Maginot Line of 300k), the reversal in trend appears to be more than a 'storm' or technical shift. 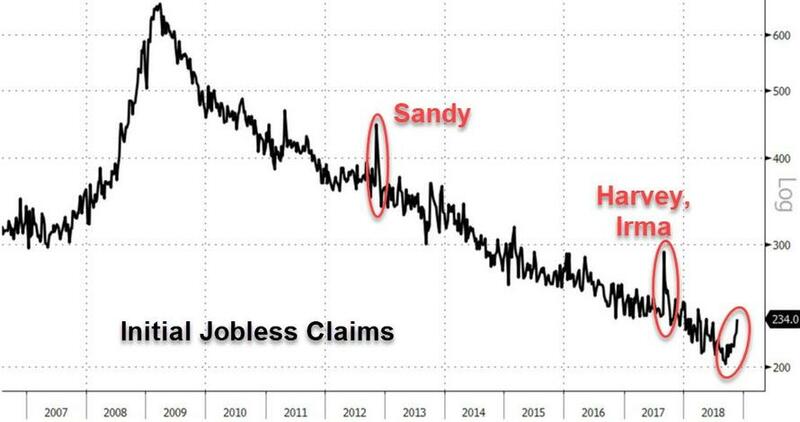 And while some have blamed one-time factors, such as the Cali wildfires and the Thanksgiving holiday for the surprising jump, the number comes just weeks after the BLS reported the biggest drop in job openings in 2018. Is the labor market the next one to peak as the US economy slows?